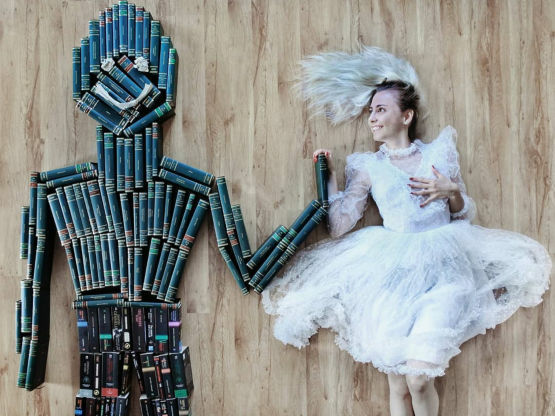 Elizabeth Sagan has combined her love for art and books in an ingenious way - she uses her vast collection of books to create physical pieces of art. Sagan's been doing this since the summer of 2017, and her account has blown up in that time. She has over 100,000 followers on her main account alone. Here, she's channeling Hela, from "Thor: Ragnarok." She's done other mythological figures as well, such as Medusa and a centaur. 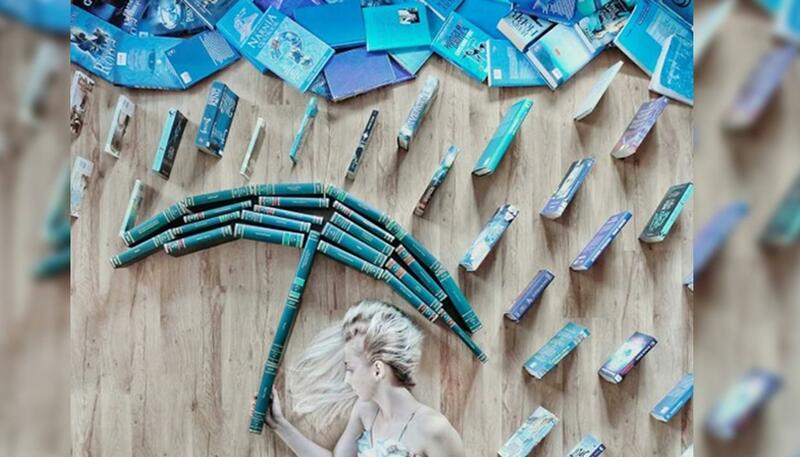 Her love for books inspired her. 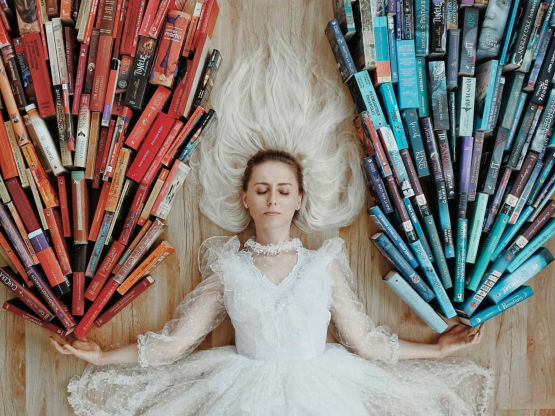 "I found myself in a bad place and I needed to reconnect with my love for reading," she was quoted saying. 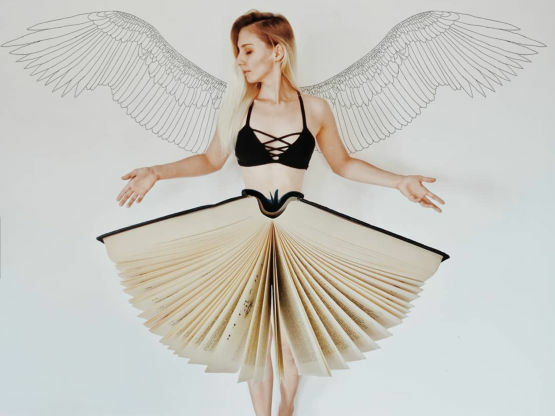 "I needed a platform to keep in touch with the publishing world, to monitor my reads, and to discover what's new," she said. Sagan frequently writes in her captions what she's reading. 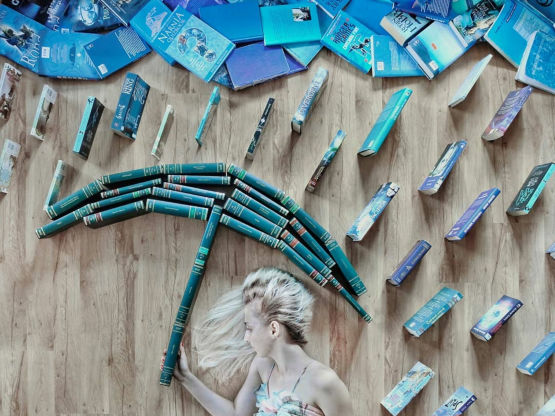 Here, she portrays one of her favorite book series. 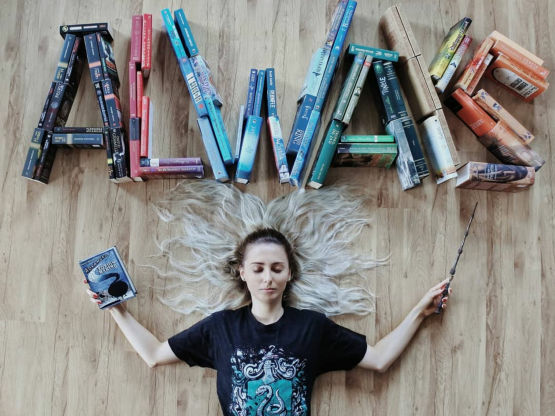 And here she references another favorite, "Harry Potter." While "Harry Potter" isn't in Sagan's top five, it does pop up quite frequently. 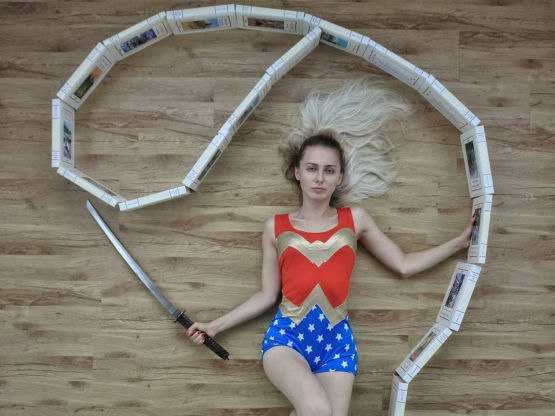 Of course, she's also inspired by the book she reads and the movies she watches. 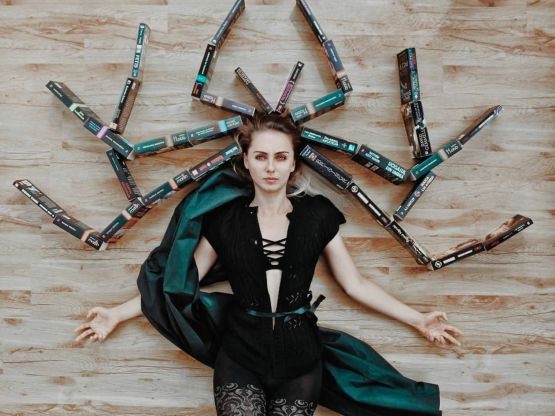 This post kicked off a series Sagan started, called "women of books," in which she began portraying powerful women in literature.